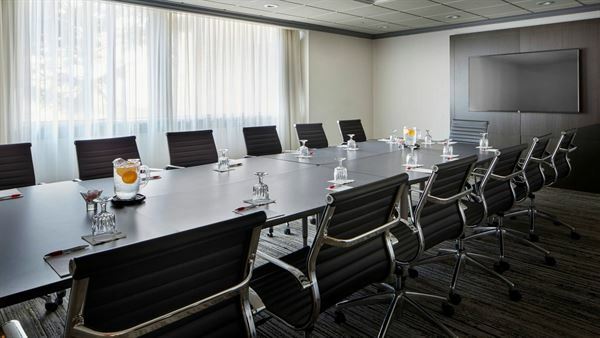 The Hartford/Windsor Marriott Airport hotel offers upscale newly renovated hotel accommodations and amenities, but it is our incredible location in Windsor, Connecticut that you will truly appreciate. For your important meeting or special occasion, our state-of-the-art event facilities, custom catering and certified wedding planner are perfect for a flawless event. Breakfast Options: • Continental & Buffet | $20.00 - 25.50 per person • Plated | $14.50 - 20.50 per person Lunch Options: • Plated | $17.50 - 27.50 per person • Buffets | $25.00 - 31.00 per person • Boxed | $23.50 - 24.50 per person Dinner Options: • Plated | $38.50 - 55.00 per person • Duo Plated | $53.95 - 58.25 per person • Buffets | $$49.50 - 57.00 per person Please see attached PDF for additional information and menu options.